Here is a more serious scene done with the Bullet Physics Playground, to test “real world” usage. 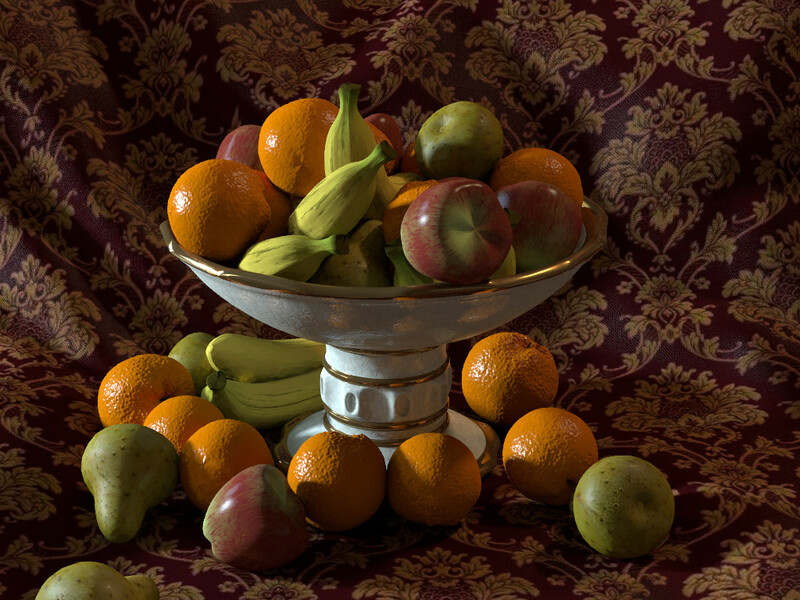 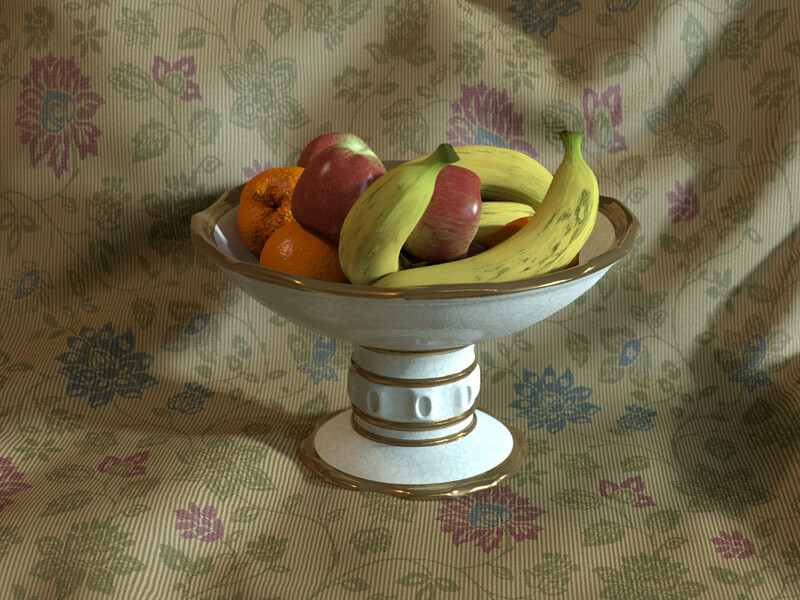 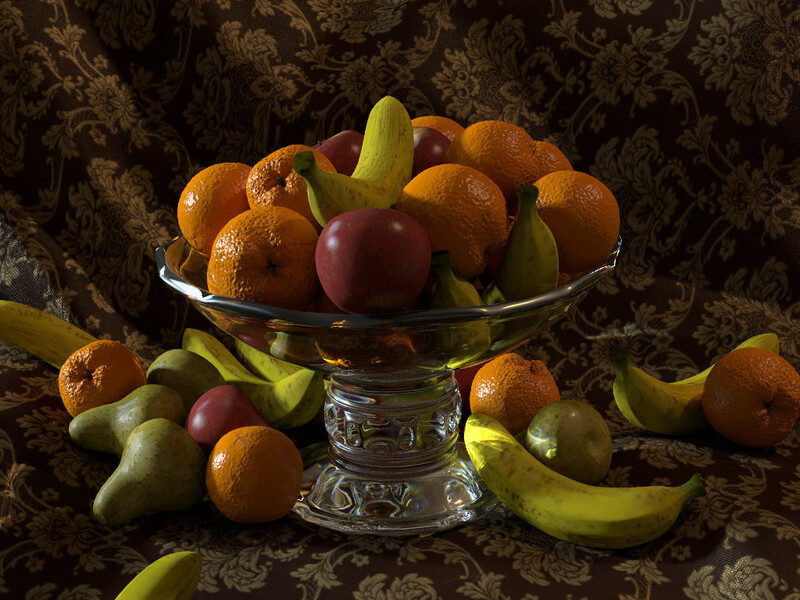 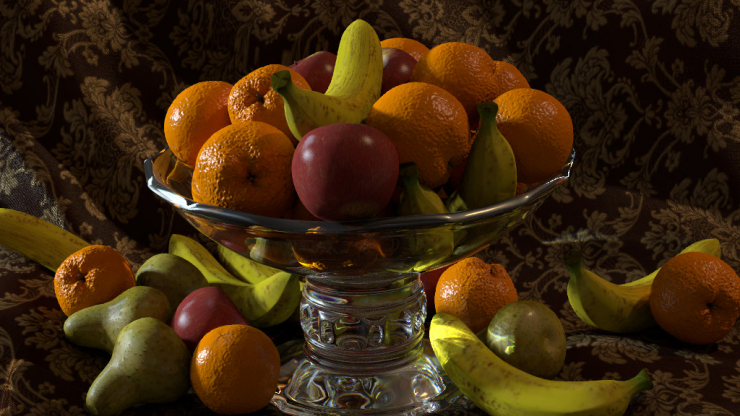 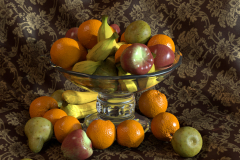 Some of the fruits (pear, banana) and the cloth come from the 3Drender.com “Lighting Challenge” scene by Dan Wade. 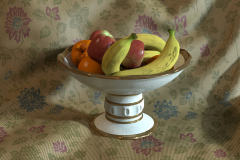 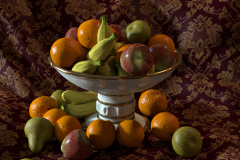 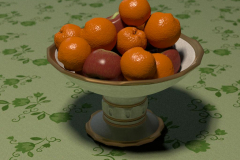 The rest was my own models, and a fruit bowl I modelled with Wings3D. 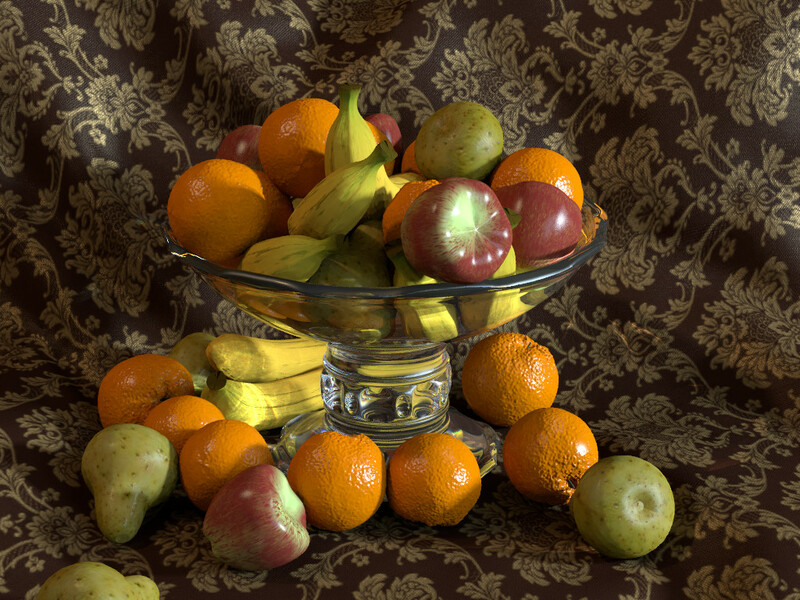 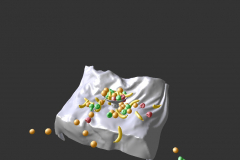 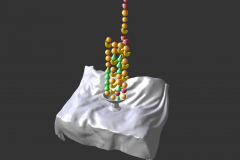 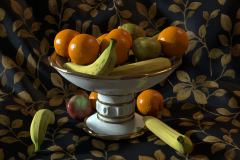 The cloth and the bowl where made static on the simulation, while the fruits arranged over it are dynamic, so they fall to fill the bowl (actually I put a lot more than needed, to have some of them lying around on the cloth). 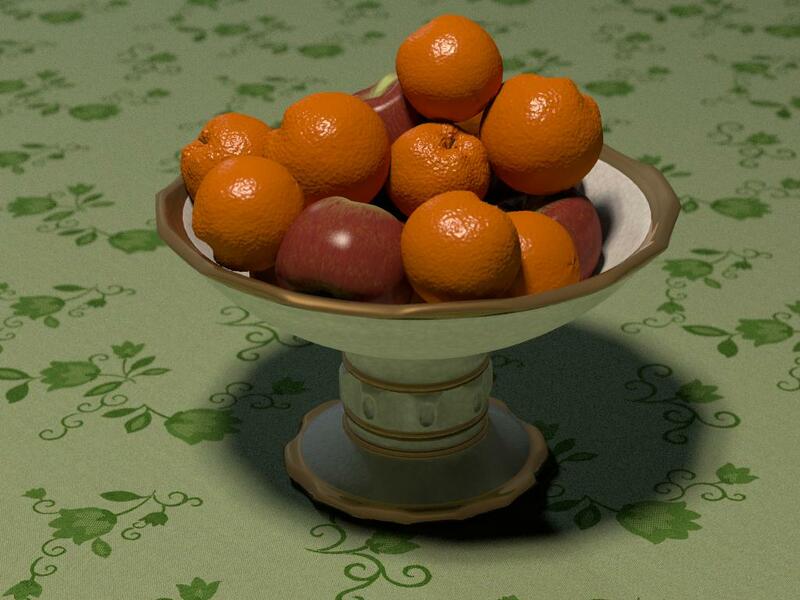 To illustrate the process, I’ve attached two screenshots from the playground, one at step 0, and the other at mid way to the final one (I stopped it when all the “excess” fruits did fall over the cloth borders, at step 394). 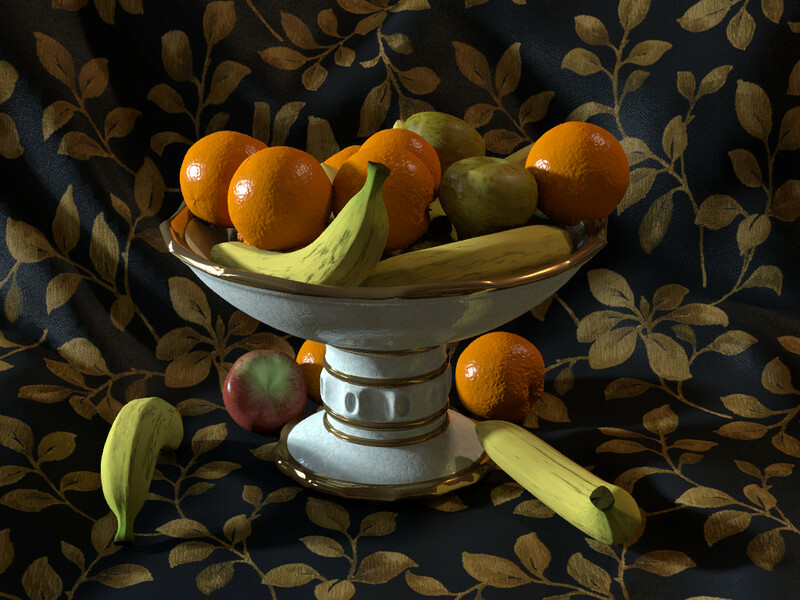 I had the bananas going through the bowl surface at first try, but it was because I used a non-smoothed mesh, with too big faces (bigger than the banana radius). 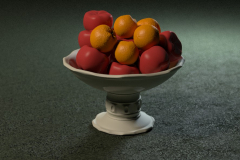 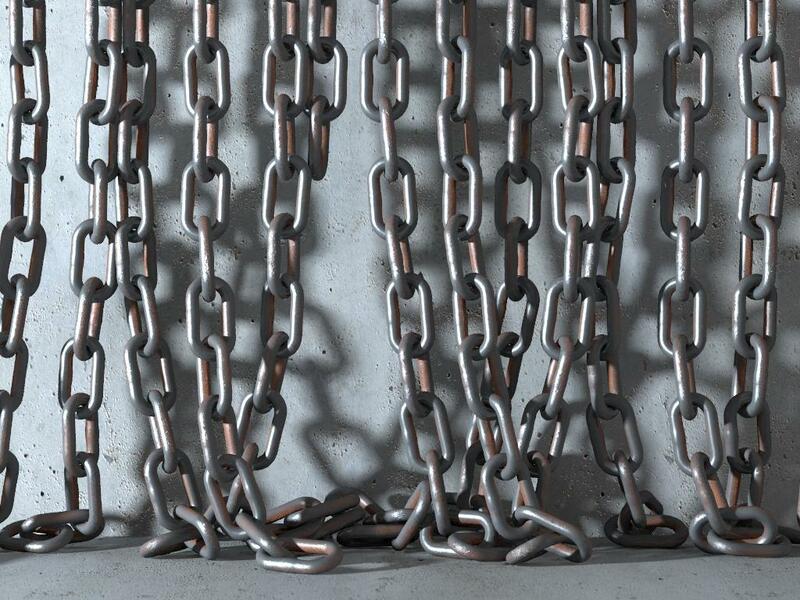 A further subdivision on the bowl mesh solved the problem. 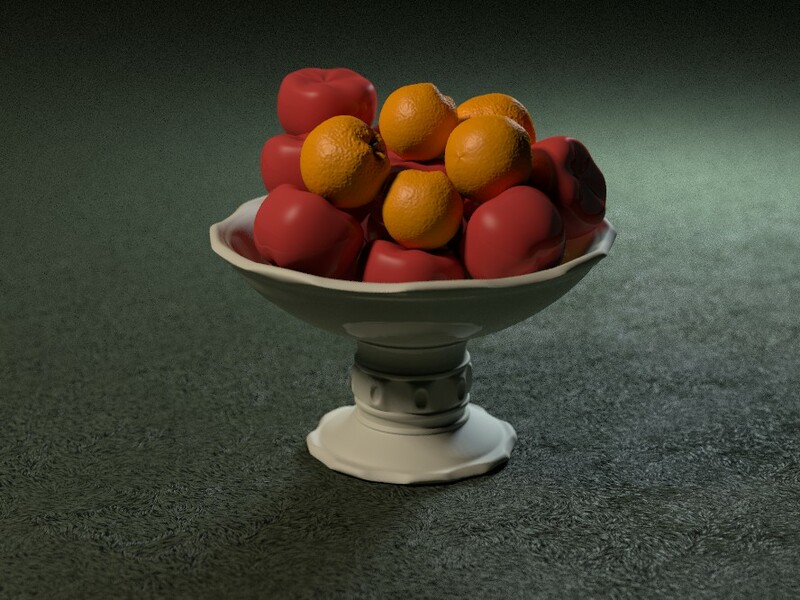 On the last one, I changed the bowl material to glass, with dispersion and photons: it took more than 8 hours, and doesn’t looks as great as I hopped, but it’s nice anyhow.